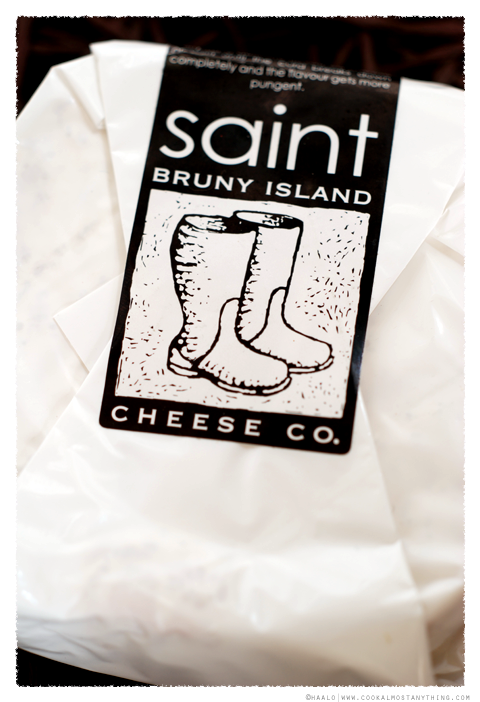 Bruny Island is an island located off the south-east coast of Tasmania - it's also home to one of Tasmania's most interesting cheese-makers, Bruny Island Cheese. While I've enjoyed their cheese in restaurants, finding it in the stores can be difficult but thankfully I've finally managed to find a reliable source. 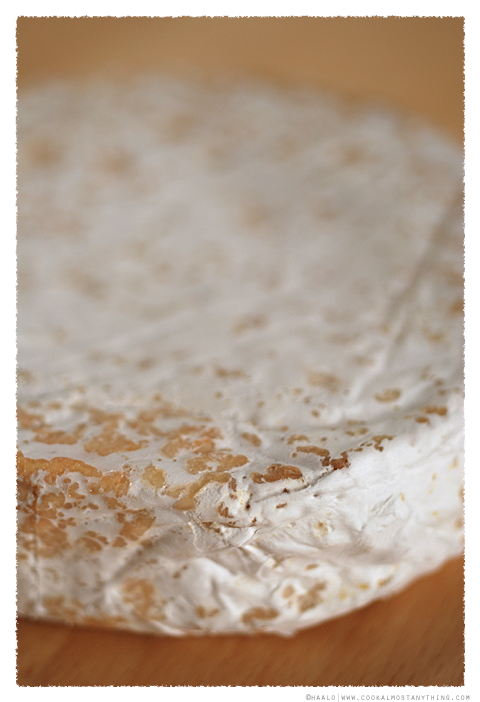 As you can see the mould just lightly covers the round - the cheese itself is fairly pungent and when held you can feel a certain softness to it's structure. 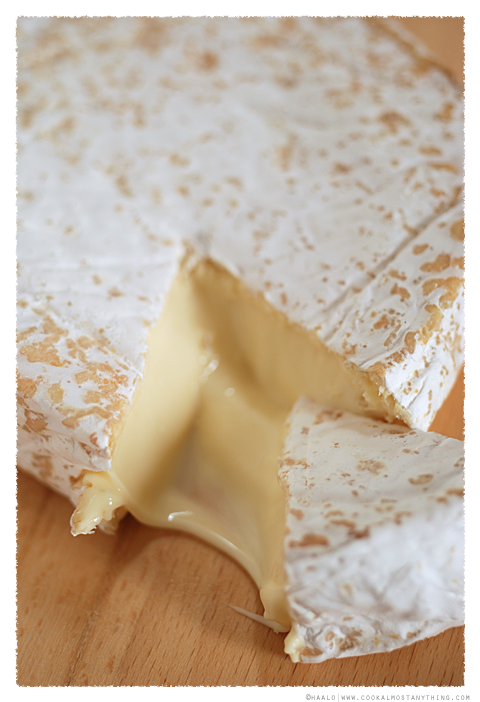 Bruny Island says that this can be eaten when young - you'll find the cheese is firmer and milder - or you can wait until it is fully matured. 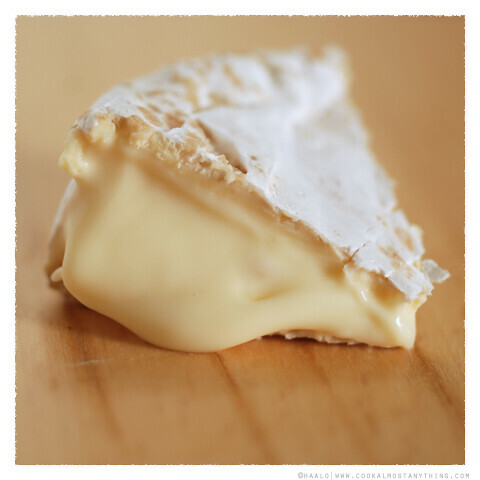 It has an almost fondue like texture - full flavoured, it is quite luscious and rich on the tongue. The rind though can be a bit overpowering and if left out you'll soon find those ammonia aromas becoming a bit too strong. I did open it at its most ripe and keeping it at room temperature does bring out the ammonia notes - the rind is something is I wouldn't eat at this stage, it just is too overpowering. However, the interior is absolutely delightful. Oh wow- moved to Bangkok in early June and the craving for cheese is just kicking into high gear. Beautiful picture!